LED Signages built by Sign Boards Chennai are the most popular technique of branding the products or services from a company. This type of advertising results in a great way in developing the business. Have you ever imagined how LED signage work? But could not comprehend all the technicalities that maximum of the LED signage Companies uses to advertise their brand. Basically, LED Signage just have a small amount of machinery that run their system & once you comprehend the function, you will become an expert in using LED sign purchase. LEDs are tiny lights that can adapt easily into an electrical circuit. They are specifically built to superficially transmit a large number of photons. The LED signage is a built-in advertisement unit, which unites the microelectronic technique, photonic technology, computer technology, and information processing technology. It is also the kind of monitor which's applied to demonstrate text, graphics, cartoons, videos, images, and other info. 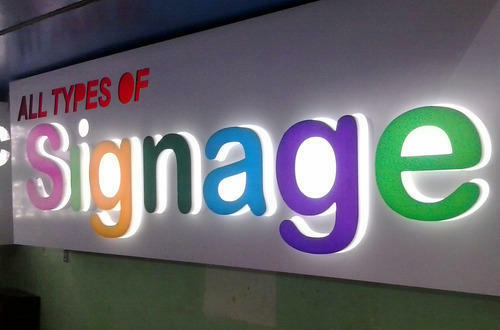 We, Hi-tech Vision are experts in manufacturing all kind of Signages including LED Sign Boards in Chennai. Signages produced by us are built in high-quality materials and long-lasting products.